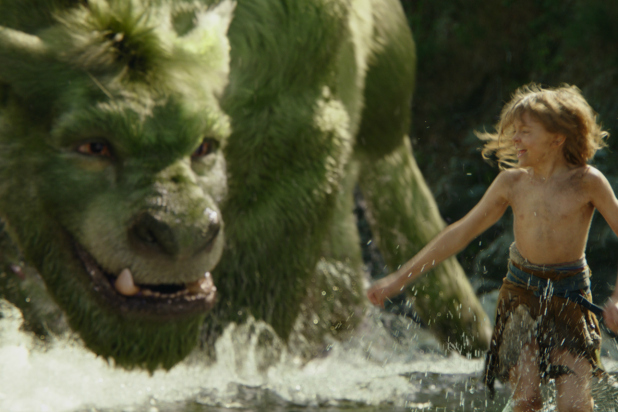 Disney continues its predilection for bringing live action versions of its cartoon back catalogue with this New Zealand shot version of 1977 cute fable, Pete's Dragon. Moving forward six years, and the town of Millhaven's grown up with tales of a dragon in the woods. 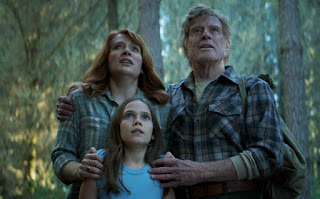 Chief among the tall-tale-teller is Robert Redford's Meacham who claims to have seen the beast, but his daughter Grace (a pleasant Bryce Dallas Howard) who works as a park ranger. refutes his claims. But one day, when she finds the feral Pete, a chain of events is set in motion that will change all their lives forever. Perfectly pleasant but ultimately pedestrian, Pete's Dragon is a curious update. With its furry dragon now resembling more a hybrid between snaggle-toothed dog, Scooby Doo and dragon, it's clear the CGI is the star of the film with plenty of earlier proceedings devoted to showcasing the beast soaring through the skies and in one bravura CGI piece that reeks of simplicity of complex execution, splashing through water. Refreshingly old school in its execution and teetering closely on potentially being a little bland for current cinema tastes, Pete's Dragon takes about 70 minutes of its 100 minutes for anything seriously substantial to happen, relying on magic, darker moments and old school feels to get it through. It's genial to be sure, but its veiled story about a damaged child and subsequent reintegration into society is the only thread that keeps things on the straight and narrow - even though a sideline about deforestation bubbles away in the background, never to be preached or discussed as the film progresses. 3D for the film proves pointless with the only moments that it works best being when the dragon disappears from sight on screen as its cloaking device kicks in - but otherwise, the 3D muddies and darkens proceedings more than it needs, denying the movie the lighter edges it so clearly embraces. 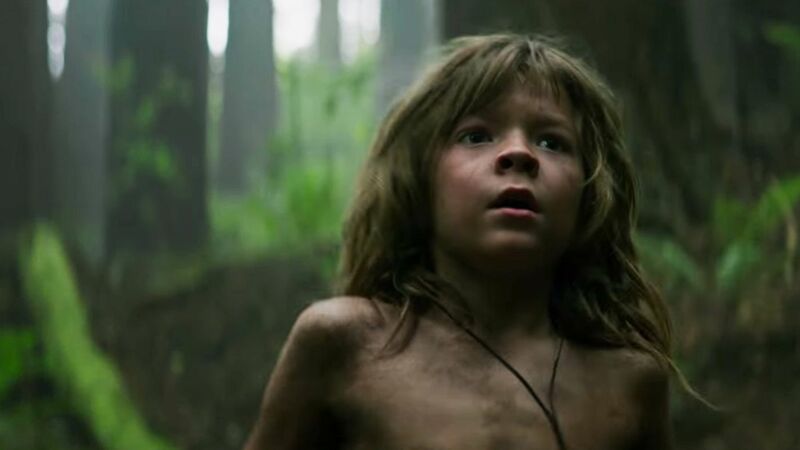 As the scrambling feral Pete, there's a distinctly Mowgli vibe about Oakes Fegley's scraggy kid and the sweetness of those around him makes proceedings saccharine enough but never boiling over into grating territory. And while Redford and Dallas Howard are perfectly affable, Karl Urban's turn as a troublemaker feels a little stunted and comes up wanting in the final wash. It's an unfortunate touch given the whole family friendly proceedings need a degree of villainy to give it an edge. Ultimately, Pete's Dragon is winningly old school with its simplicity of execution, but it takes a little too long for anything significant to happen - and whether impatient audiences will embrace that lax pace remains to be seen.